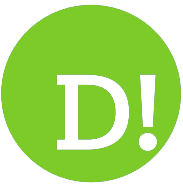 By Maggie Barry on 2019-04-14 - Experienced car journalist. 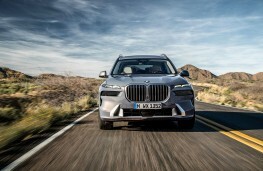 BMW has sealed its X Drive line up with a huge kiss - the X7. This is the big daddy, the flagship of the SUV series and a car that completes the company's family of luxury cars. 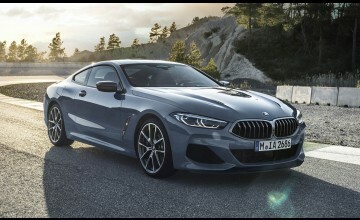 The others are the 7 Series and the 8 Series coupe and convertible - each one with its own personal wow factor. 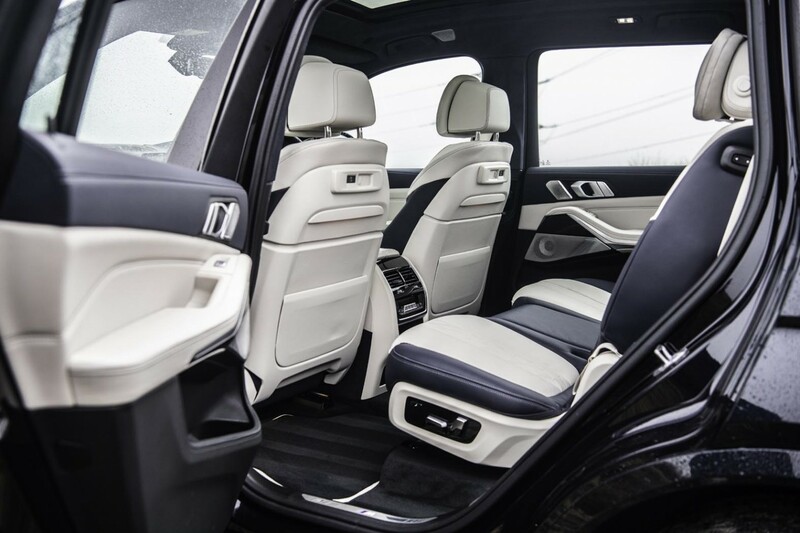 These are the cars you can expect to see ferrying A-listers to and from the red carpet and particularly the X7 which comes with seven seats - or six if you prefer the middle row to be two armchairs. 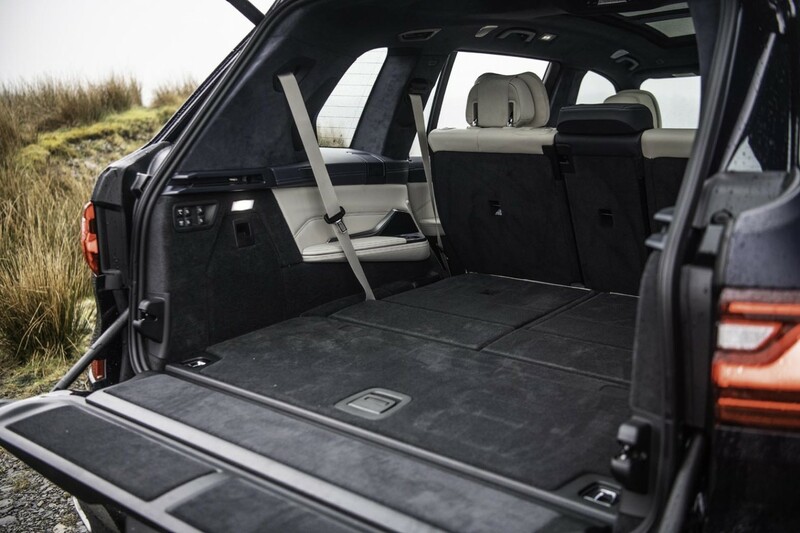 Big, black and with tinted rear windows it is the largest BMW to date and the 7 series that can take you anywhere. The nose is impressive and distinctly BMW. Yes, there have been tweaks - the well-known kidney grille is deep and comes as one piece now instead of two heralding a new era in BMW design. 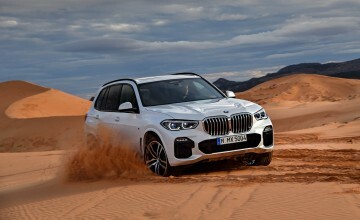 The bonnet is deep with LED lights as standard, there are roof rails, an automatic and electronic split tailgate for easy access and the whole lot sits on 21-inch wheels as standard, or in the case of the M Sport trim 22-inch. 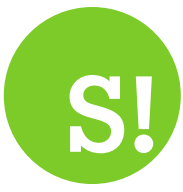 The whole lot shrieks ‘presence'. 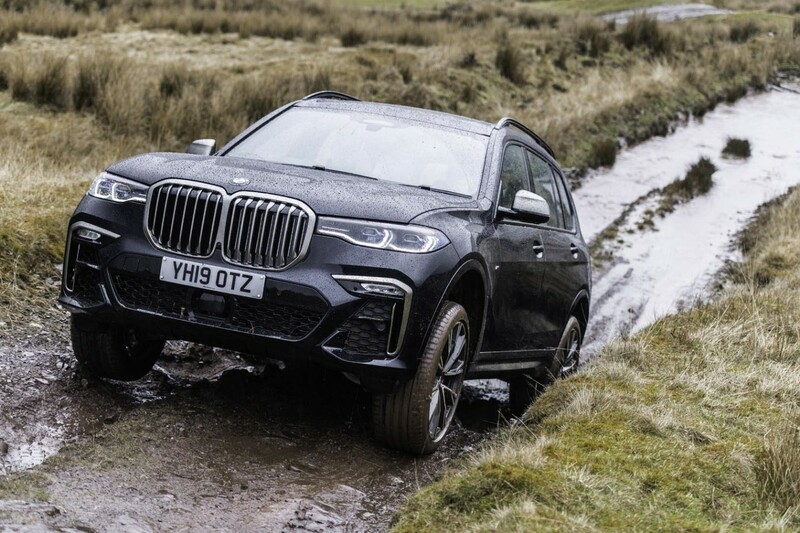 The entry trim, Sport, throws chrome at the X7 on the exterior but in the M Sport trim this has been reworked to high gloss black as in the twin trapezoidal exhausts. It's very mean and very aggressive. How big is this elegant car actually? 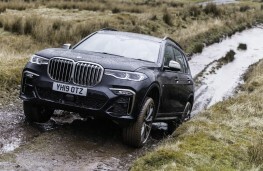 Well it is 23cm longer than the X5, its nearest SUV sibling, and 9cm higher. 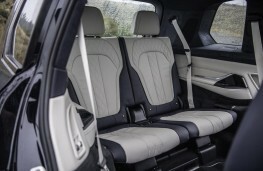 This creates room in the interior for the three rows of seats, all heated and with four ISOFIX fittings. Nor is there any tugging at straps to lower the seats. The simple push of a button either in the boot or in the cabin and they do it all themselves. 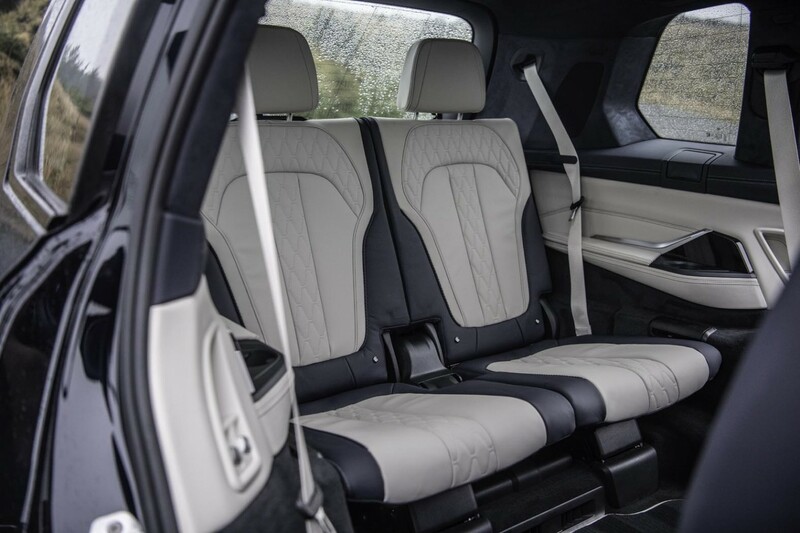 The version I was driving came with Ivory White Merino leather, particularly attractive against the Carbon Black exterior although for £5000 there is a white/night blue option. 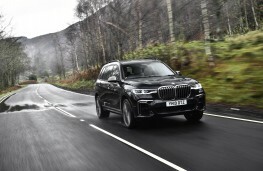 BMW points out that not only is this its biggest and most luxurious model to date with a huge raft of features as standard like the panoramic roof and four zone air con, but it also contains a massive amount of tech. 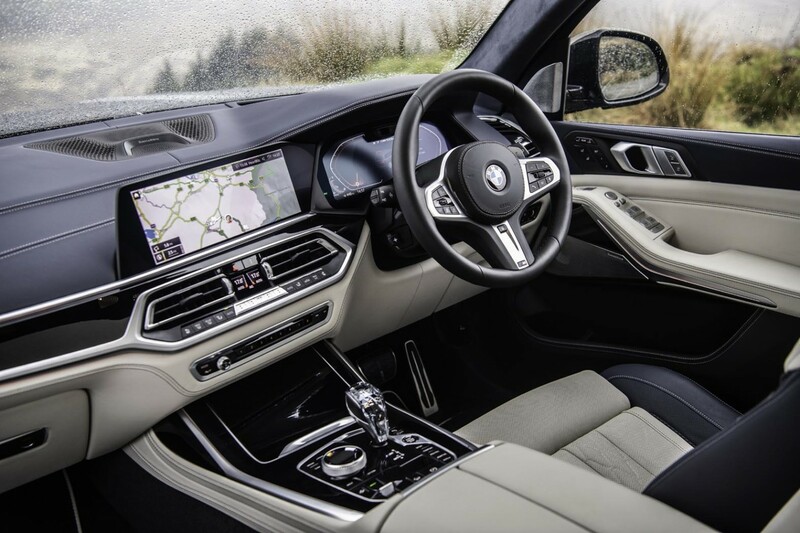 Product manager Sukh Bhamra said: "The interior is minimalistic. This is important because the car is loaded with tech so we wanted to create a clean environment. "The integral controls are on the centre console and neatly clustered on the instrument panel." 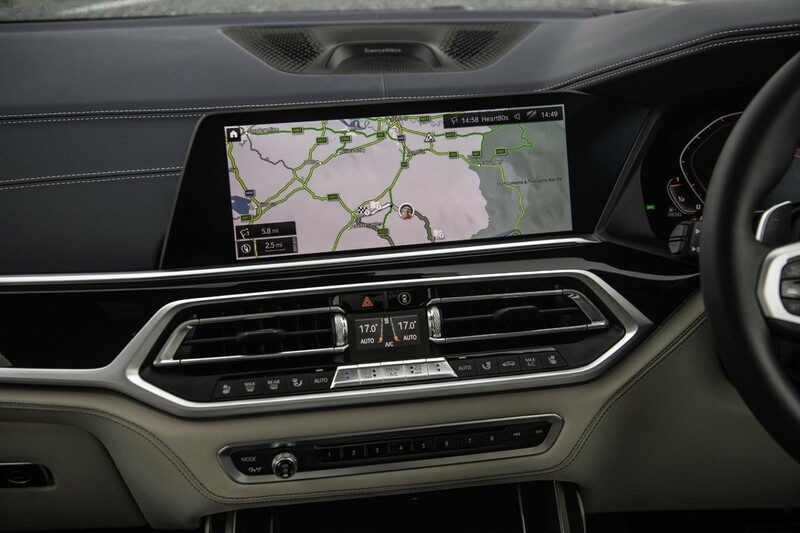 The X7 introduces BMW's Intelligent Personal Assistant to whom you can talk as you drive along and give instructions like ‘Switch on the radio', ‘Return to the sat nav'. She even understands a regional accent. The more you use this facility the more it will adjust to your whim, exactly like your husband or wife. 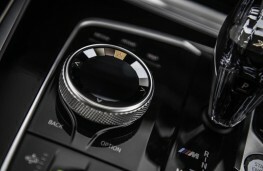 You can share a digital key with members of your family via a connected drive system which means they can drive the car without you actually handing over the key and it comes with the capability already showcased in the 8 Series where it will remember the last 50 metres of your previous drive and carry it out autonomously in reverse. You merely control the throttle and the brake. There are driver assistance features like lane assist to stop you wandering, adaptive cruise control to keep you a healthy distance from the car in front and cross traffic alert which stops you coming out of a space or road if another car is coming along. 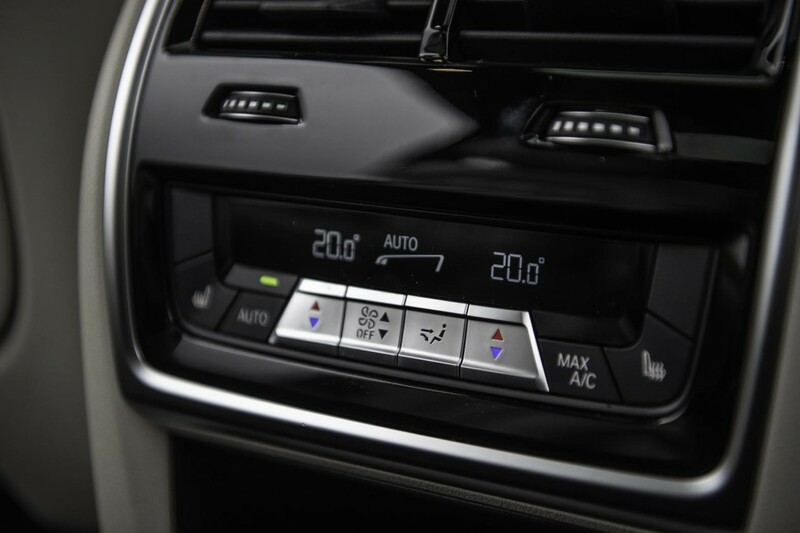 There are different driving modes like Comfort, Sport, Individual and Adaptive which watches the road ahead and modifies the car's systems accordingly. For instance, on a winding road it can adjust the suspension to keep the car as flat as possible. And there is also an Offroad mode with the ability to adjust the throttle and suspension for snow, sand, gravel or rocks. 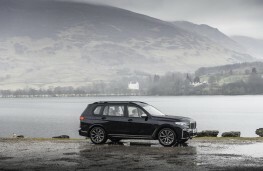 This is truly a car for all weathers and all seasons. 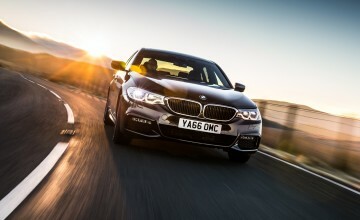 The most popular, says BMW, will be the 30d - that's the 3.0-litre diesel with 265ps and a top speed of 141mph. It completes the 0-62 dash in seven seconds. It will give you an average of 43.5mpg with CO2 of 171g/km (NEDC). This car starts at Â£72,630 in M Sport trim. 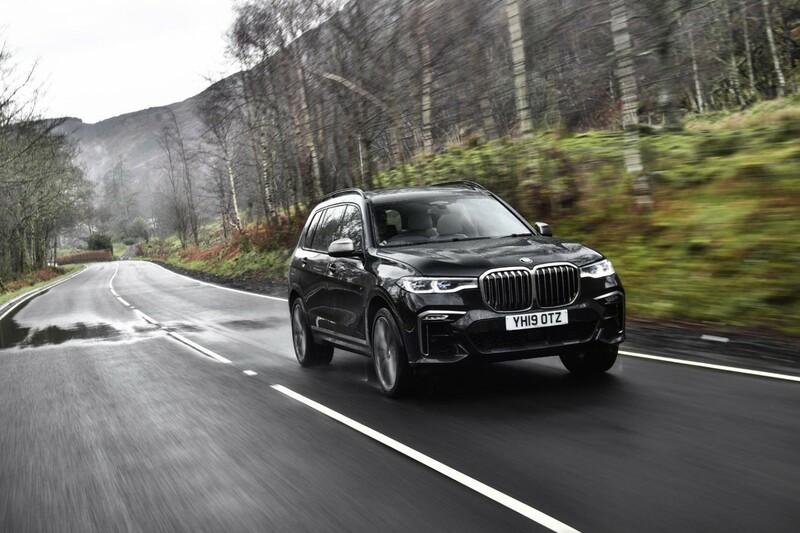 There is a 40i 3.0-litre petrol engine in the line-up with 340ps and a top speed of 152mph which will get you to 62mph in just 6.1 seconds. This delivers 32.5mpg with CO2 of 198g/km (NEDC). 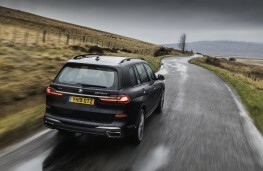 In M Spor trim it starts at £74,630. The big daddy is the 50d 3.0-litre diesel with 400ps and 185g/km of CO2. This has a top speed of 155mph and races to 62 mph in just 5.4seconds. The average mpg is 40.4 and it starts at £90,210. 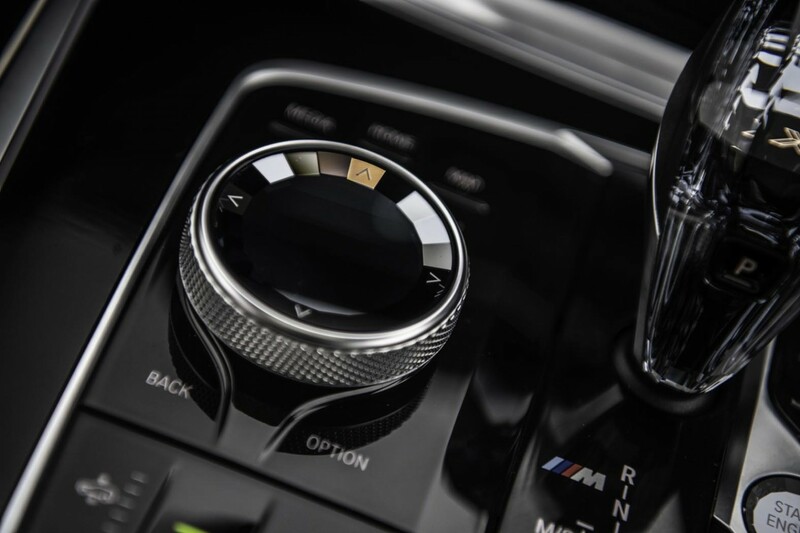 All cars have an automatic transmission with manual paddles and come with BMW's three year/99,999 mile warranty.